I found it to be a difficult read. Another author said she was a difficult read. @Delano No, Morrison is not Dr. Suess. I guess appreciating her work requires the motivation to do so. Anyone with the brain power and energy to earn an MBA can enjoy Beloved -- if they wanted to do so. @Mel Hopkins, I created a short video to help make my point. You may still choose to disagree with me, but hopefully it will not be because you don't "understand" me. Troy maybe my intellectual acumen isn't an issue. I read Nieztsche which was difficult reading. I finished both . For me Beloved was too much work without a proper climax. You may not intentionallymean to be insulting my intelligence or perseverance but you are in fact doing so. It's an insulting and condescending comment. Furthermore how can you know my motivation. Unless you have some window to my inner experience. @Delano you are being overly sensitive. I had no intention of insulting you: I acknowledged both your intelligence and your work ethic (which most people would find complementary). I supported the complement with the fact that you earned an MBA. Why did you ask me if I read the book -- after I recommended it to Mel and after I replied to your post about 10 books that stayed with you? You may still choose to disagree with me, but hopefully it will not be because you don't "understand" me. @Troy , I saw the video and there's still a disconnect. No, Morrison is not Dr. Suess.﻿ ﻿ I guess appreciating her work requires the motivation to do so. 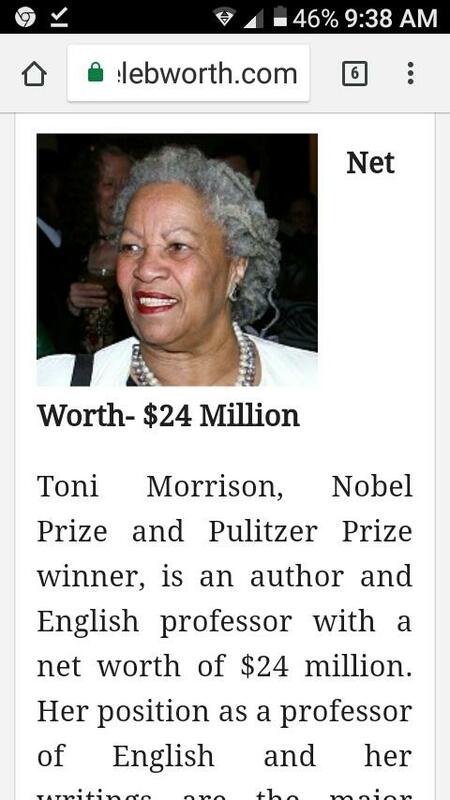 Toni Morrison has a Nobel and Pulitzer I appreciate her as a writer of importance. I just don't enjoy her writing style I read Sula and then Beloved. Your post sounds a bit elitist. You don't need an advance degree to read challenging books. I believe the only reason that you do not enjoy Beloved is that you have not decided to devote the effort to do so. @Delano, so when it is all said and done do you still believe I was insulting you (deliberately or otherwise)? Further "elitist" or even "a bit elitist" is the last adjective one would use to describe me relative to books -- I embrace them all and have the record to prove it. Again, I suggest you (and apparently Mel) are reading things that I've written that simply are not there. You have characterised me as some dude sitting around here looking down my nose and people who fail to appreciate Morrison's work. when all I'm saying is that if you gave it a chance you might find that you like it and no it is not Dr, Suess and requires more more effort to enjoy. If you recall my response to you post about "10 books that have stayed with you," you'll also see that Dr. Seuss is on my list. I love his books -- I actually did not appreciate the morals in the stories until I began reading his books to my kids. GIve me the benefit of the doubt... If you really think I'm trying to insult you just ask. I'm sure I have in the past 😉 but this was not one of these times Bruh. I'm still curious why you asked me if I read the book. Troy The places you'll go oh is deep and it is Dr Seuss. Troy but it is a book for children. Tell people that Dr Seuss is your favourite author at your next expo. Then tell me your response. Troy you have a comprehension problem. Your statement is condescending to me not books. I also think some of your comments are chauvinistic. Perhaps I am being contrary but Beloved left me so underwhelmed I won't read her work. 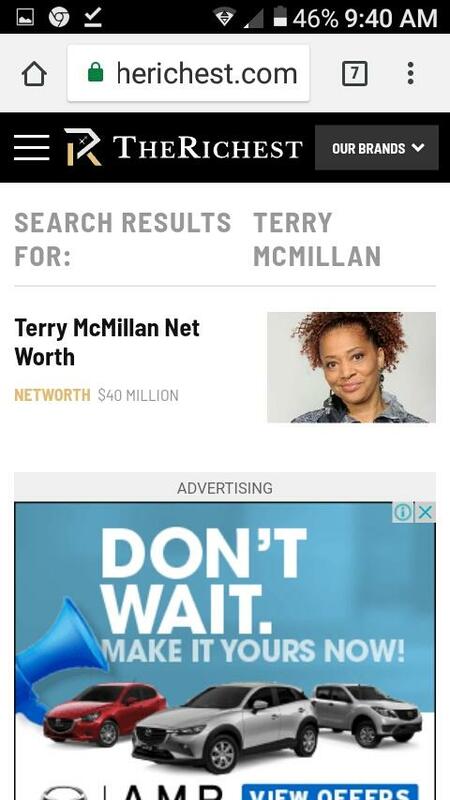 I recall her and Alice Walker dismissing Terry McMillan. Toni has the two highest literary prizes but Terry got the cash. Yes @Delano all of Seuss' books have a deeper meaning. This was something that escaped me as a child, and that only I discovered while reading them to my own children as an adult -- the deeper meaning only increased the pleasure of reading his books to my children. This is why the books are so special to me. Again comparing Seuss to Morrison is only an insult to you in your own imagination. Is the real problem your contempt for elitists? Is that why you are so hyper-sensitive on this issue? Did an elitist hurt you in the past? Also, don't be so sure the Terry has more money Toni. While I'm sure Terry is no pauper. Toni is very well off perhaps far better off the Terry. Besides, since when did money become your barometer for success? Also, in case you missed me asking the question the last 4 times, why Del did you ask me if I read Beloved? Troy you don't seem patient. And you conflate disagreement with misunderstanding. I am aware of power dynamics elitism and snobbery. Which I feel all inform or create various feelings of unearned entitlements. Del my engagement with you on this topic demonstrates patience if nothing else. OK $24 and $40 are essentially the same given the fact that these site do not have access either woman's financials and are largely guessing. Also why did you not take the information for each women from the same site so that we have a bit more certainty that at least the same methodology was used. In any event, you make it sound like all Tony got were some awards while terry got all the loot which is not exactly supported -- even with the specious "information" you've provided. At the of the day, none of it this justifies why you felt insulted by a simple observation and a stab at an explanation. Troy you don't seem patient. That's the reason. Why dismiss the two sites as specious do you have more accurate numbers. Saying Toni Morrison is not a children's book and i could appreciate it if i made the effort(sounds like you are calling me a lazy reader). Even in your rebuttal you are making disparaging comments. Without any supporting evidence. 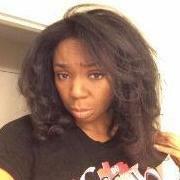 Are you Trumping me.? Why ask me, when i tell you my reason, you say that isnt it. Why dismiss the two sites as specious do you have more accurate numbers. Because these sites do have the true numbers either. Del you know as well as I do that you can believe everything you read on the Internet -- bottom line Terrui and Tony are probably in the same ball park as far as net worth is concerned which was the point of your I was contesting. Obviously I don't think you are a "lazy" reader in general, because you are quite well read in the subjects that interest you. However you obviously are not sufficiently motivated to read Beloved. I was just trying to convince that it was worth investing the effort to try, but then you got all bent out of shape. You make a statement and offer no evidence. Post an estimate any estimate then we can debate your statements. I reckoned that Terry made more from her movie royalties. Toni had critical acclaim, Terry has commercial acclaim. That's why I said Terry was worth more. Demonstrate your superior Internet skills. Or do you not have the time to support your claim. Troy first you say I read it then you said I didn't. Can you explain how you have the opposite position. Sometimes I read books that are difficult. However the reward has to justify the effort. Note certain how an almost 50% difference is the same. If you can numbers that show Tonight made more I will change my mind and concede the point. But you will have some reason not to check. And will spend more time arguing than it takes to check the validity or fallacy of your position. I look forward to you proving me wrong. I think my previous statements address all of these question. I'm content to leave this alone. You were offended. I intended no offense. The rest of this is just noise. I apologize if you were offended @Delano. You're being condescending however i knew that you wouldn't respond. Troy you are a monologist and i don't do dialogues that are monologues. You make a statement about Toni Morrison's wealth and provide no proof. And then sau you're content eith your answer. That's how you roll. You don't mind making unfounded statements nor do you attempt to find out any more information. You are being arrogantly ignorant. Impressive.